The Project Runway Limited Edition Innov-ís 85e. Designed with veterans and beginners in mind. Guaranteed by Brother. Introducting the Project Runway™ Limited Edition Innov-ís 85e. 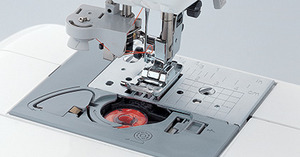 The Innov-ís 85e showcases the latest advancements in sewing and quilting technology in not only a reasonable price, but a portable size. This versatile, lightweight machine is packed full of fantastic features tailored to beginner and experienced designers alike. 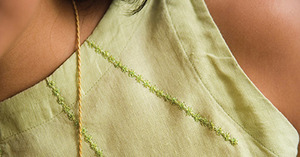 With a diverse selection of decorative stitches, alphanumerical characters, buttonhole styles, and custom stitch capability, you're not just sewing. You're creating. Use your imagination. Make a statement. Let the enhanced Innov-ís 85e be your voice. Warranty: 2/6/25 year premium warranty. Machine Dimensions (H x W x D): 13.59" x 7.24" x 11.69"